Logbooks There are 5 products. 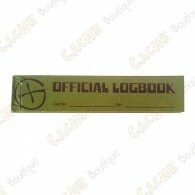 Little "Official Logbook", which can be placed easily in small to regular caches. VERY INTERESTING QUANTITY DISCOUNT! 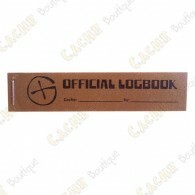 Little "Official Logbook", which can be placed easily in small to regular caches. Rite in the Rain paper. VERY INTERESTING QUANTITY DISCOUNT!